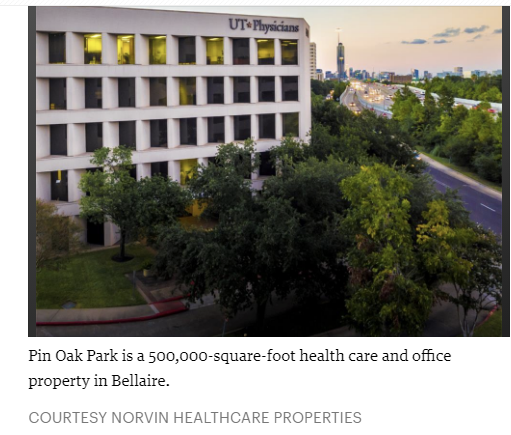 ​​​​​​ BELLAIRE – Norvin Healthcare Properties closed on a five-building health care property that comprises more than 500,000 sf. The property Pin Oak Park is located at the intersection of West Loop South and Bellaire Blvd. It is 93 percent occupied and New York-based investment firm ​Norvin is planning extensive renovations for all of the properties.